New software in use at several big airlines reschedules crews in minutes, sparing dispatchers hours of manual puzzle-solving, reports The Wall Street Journal (Feb.5, 2015). Last week, United got planes back into its Newark, N.J., hub and other Northeast airports on Tuesday night and was back at full strength by Wednesday afternoon, using only 11 reserve pilots. In past storms, that number would have been in the hundreds. The airline keeps 15-18% of its 10,000 pilots on reserve duty to fill in when pilots get sick or delays throw off schedules. United, like other airlines, sometimes ran out of reserve pilots and flights would have to be canceled days later in sunny weather. 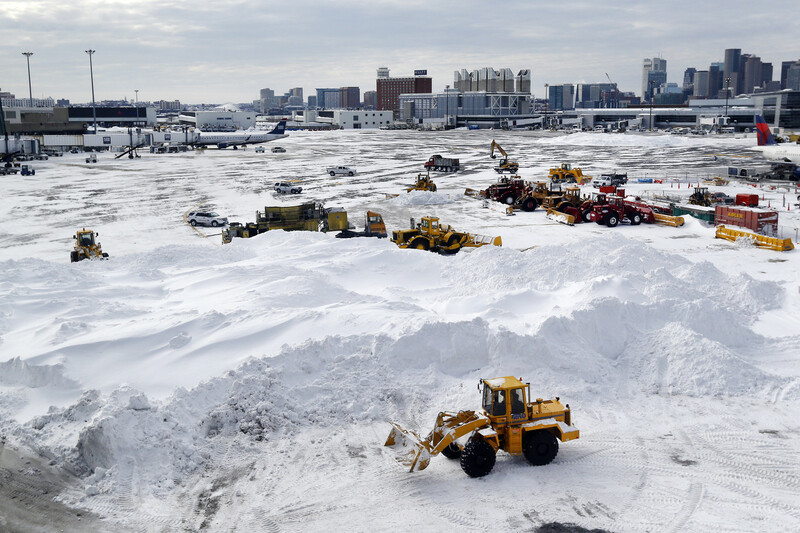 Airlines say tarmac-delay rules, where the government imposes big penalties on carriers for leaving passengers marooned on grounded airplanes, have forced them to avoid the risk of flying close to the storm. Shutting down early turns out to be better for passengers and airlines. Fewer passengers get stranded at airports because they never start trips or know ahead of time they won’t get home so they avoid the airport. United actually ferried 7 planes empty into Newark Tuesday afternoon so they’d be ready for early-morning departures Wednesday. By 4 p.m. Wednesday Boston was back to normal.